With gloomy fall gradually coming to its end and frosty winter jostling for power, we had been enthusiastically packing our cosmetics bags with more and more bold and winter-befitting makeup products until the news today made us mentally skip those cold days and end somewhere in a springtime blooming garden. 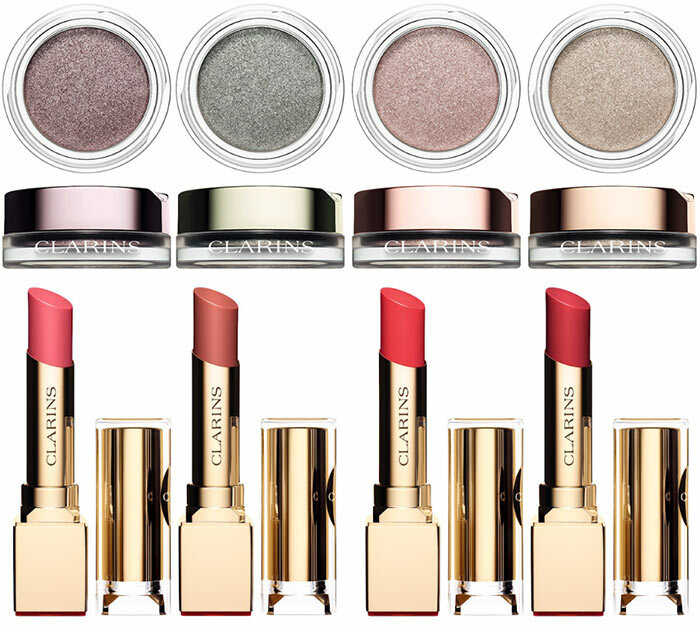 Our favorite French cosmetics company Clarins is that very provocateur with its Clarins Instant Glow spring 2016 makeup collection that will fill the counters with its earthy eyeshadows and pink lip colors in January, 2016 at Douglas, thereby coming to be the number one opponent of smokey eyes and burgundy lips. The ingredients of this spring natural cocktail are already known and you can look through it right away, providing yourself with instant glow for the spring to come. This rose blush of creamy texture and floral wax formula (mimosas, roses and sunflowers) is very easy to apply, instantly becoming a tender powder on the cheeks. The natural shade will ideally go with any fragrant flower in the garden, while its sleek golden case will become your handbag’s favorite. The cosmetics company has also a fine piece of advice for matte-effect-fanciers ” applying the blush on the lips as a foundation. Why not try? 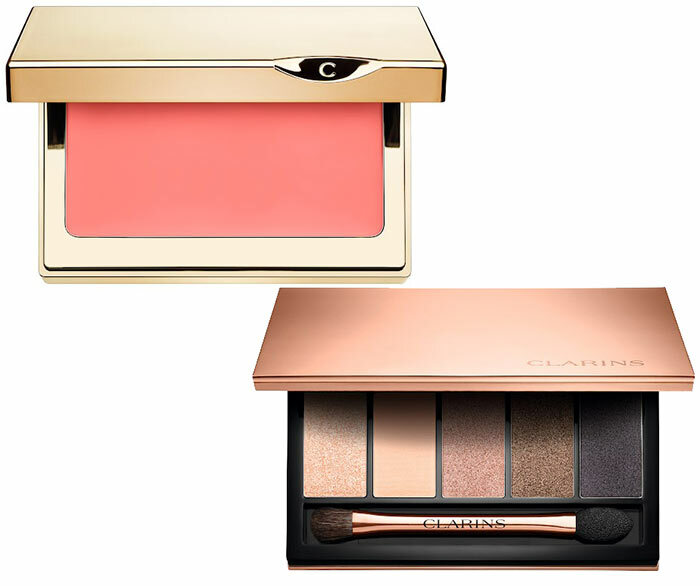 Shimmering eyes in the spring sun make an incomparably stunning sight and with Clarins Ombre Iridescente shimmering eyeshadows you will definitely create such a stunning look. Four twinkling eyeshadows of ivory, silver pink, silver green and silver plum housed in four different round cases are to bring fresh new shades and feeling into your life. Four shades of pink will coat your lips with innocence and purity, making your smile more gentle and childish. Vitamin E will nourish your lips and protect them against free radicals while delicious blackberry and liquorice scent will make you a realistic aromatic flower. 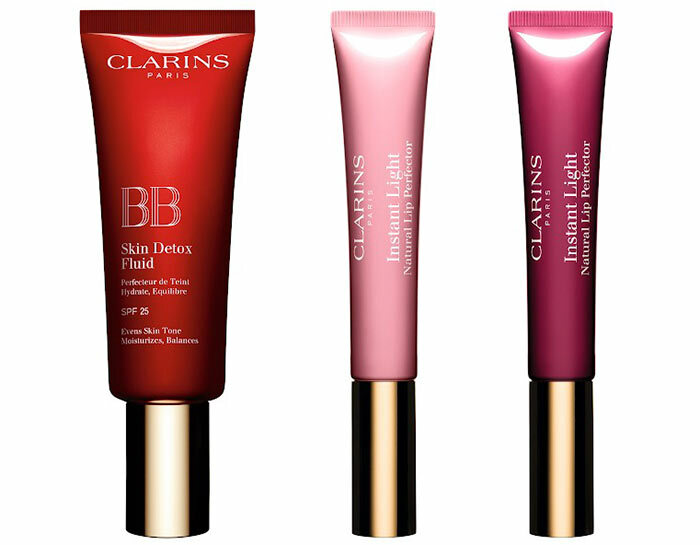 These two lip glosses of pinkish beige and plum shades can be used either alone or as a finishing touch over another lipstick shade through their sheer and full-lip-providing features.